Listen to Your Heart (‘Cuz Your Head Can’t Help You Now)! | Ascension 360º - Navigating the New World Energies! 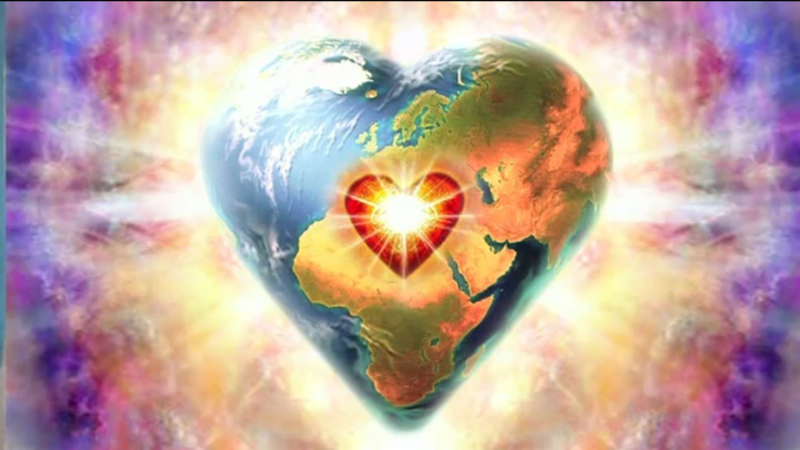 There is a new language pervading our New Dimensional World that is critical we learn to speak – and it all hinges upon awakening to Divine Love and thus being connected to and guided by our Hearts. Yet how can we become conversant in this new language when so much is occurring on the subconscious level, and when the voice of our Hearts now tends to be so very often overshadowed, if not silenced, by fear, doubt and concern? In fact, do you even really know how to distinguish the voice of your Heart from your head, your ego, your “facets” or your inauthentic selves? And when your Heart does speak to you, do you actually listen and heed what it has to say? Join Hillary for one the most poignant conversations to date regarding your Ascension journey – learning to tune in to, understand and hear the messages of your Heart. Hillary believes what she calls “Heart-guided” Listening and Living to be the single most important practice you can undertake, as it will not only ease your transition through this very bumpy, sometimes unsettling time – helping you find some much needed peace, comfort and direction along the way – but it will also support and accelerate your quantum shift into expanded consciousness and into our New World. So tune in to open your eyes to your ears and your ears to your Heart! Bookmark this article Listen to Your Heart (‘Cuz Your Head Can’t Help You Now)!